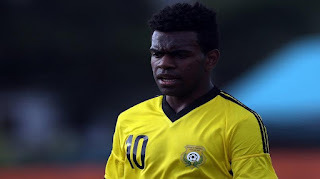 With the FIFA U-20 World Cup Korea Republic only one month away, Vanuatu U-20 midfielder Ronaldo Wilkins is looking forward to taking on some of the best youth players in the world. The U-20 Vanuatu team made history in the 2016 OFC U-20 Championship in Vanuatu last year when they became their country’s first team to ever qualify for a FIFA World Cup, and Wilkins was pleased to be able to contribute to their historic campaign. “My favourite part of the OFC U-20 Championship was when I scored against New Caledonia with a penalty because we ended up winning the game 1-0,” he said. Although he’s well aware that Mexico, Germany and Venezuela will be bringing their best to the field when they meet in Group B of the World Cup in May, Wilkins is looking forward to going shoulder-to-shoulder with the best in the world and proving his place on the international stage. “I’m so happy to play big teams. I think Germany will be the hardest because they’re really good at football but I’m ready for it,” he said. Spending the past few weeks in camp with Vanuatu in Auckland has proven challenging for Wilkins at times, but after participating in the Wellington Phoenix Academy for two years, Wilkins is well-familiar with the football camp scene and is enjoying his time in Auckland. “I miss my family but it’s all good because I’m used to it after being in Wellington for two years,” he said. Having experienced international coach and former international player Dejan Gluscevic at the helm of the team has also played a huge role in Wilkins development. “He’s a really good coach,” he said. Vanuatu will play Mexico on 20 May (local time) in their opening match for Group B before taking on Venezuela on 23 May and Germany on 26 May at the FIFA U-20 World Cup Korea Republic 2017.